Social media may keep us connected, but just what is this doing to our health? With one-quarter of the world’s population posting, pinning, tweeting, instagramming and vining, social media has turned us from content consumers to content producers. Just one of the thousands of topics being discussed throughout social media is health and wellness. Everything from health tonics and green smoothies to daily exercise routines and mindfulness is flooding people’s feeds. Thanks to social media, no longer are health and wellness experts the go-to-people for evidence-based practice and medical recommendations. Today, if you have access to the internet then you have access to a community where you can share your own voice, behaviours, ideas and knowledge with anyone you follow, as well as those who choice to follow you. The current problem with social media is it operates unregulated. The people and businesses you choose to follow do not necessarily have credentials in the field they choose to focus on, while topics you discuss and promote on your feed do not have to be backed by research. Recommendations can be made based on your own experience or scarily, something that is completely fabricated. While we would like to believe that everything that appears online is accurate and correct, this is just not the case. Even if the post is accurate, it only provides a snapshot of a particular situation. A perfect, filtered image or account of what we are trying to portray; not necessarily what’s real. With powerful messages and perceived perfection, social media has the ability to tap into our emotions. To offer us hope when real answers seem elusive or to connect us with other like-minded individuals when we feel alone or disconnected from those around us. However, while social media may have the potential to solve a number of health concerns, the technology is not perfect and advances in its use is needed. “There are huge benefits with social media like the sharing of behaviours and it’s ability to motivate and inspire. However, it isn’t always the complete picture. What we don’t get is someone’s real life. No one ever posts a bad selfie. 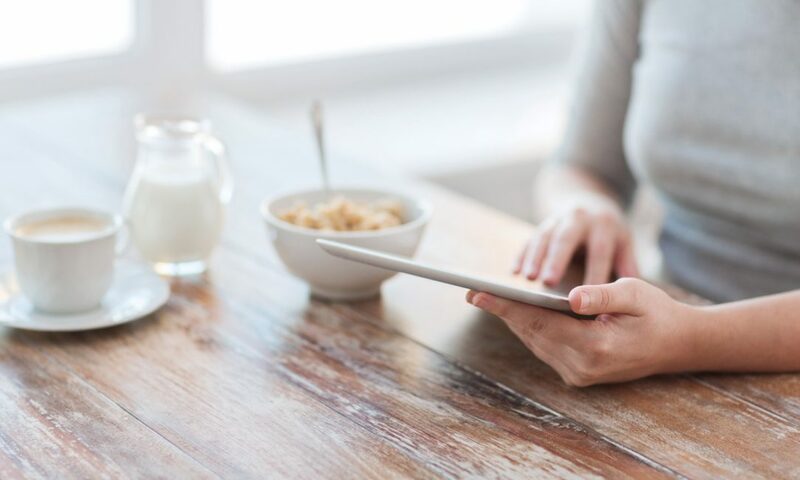 Life is often always polished on social media and rarely is it a total picture,” explains Emma Stirling, dietitian and blogger at Scoop Nutrition. Regulations around credible sourcing, a person’s credentials, ethical blogging and transparency currently don’t formally exist. Perhaps the most notable consequence of this is the recent allegations about Belle Gibson (founder of The Whole Pantry app and book) and her alleged fabricated cancer battle. Her alleged lies about her battle with terminal brain cancer and the role healthy eating played in her cancer regression have no doubt shattered the hope of so many of her followers who have been touched in some way by cancer. While no one is sure about Belle’s real situation, there is no doubt that accounts based on lies exist. Along with lies are the abusive comments, the release of personal information without consent and cyber bullying from anonymous accounts. This aspect of social media can have a profound affect on a user’s mental health. “There is also the worrying trends of hash tags fueling disordered eating behaviours. These trends target young and vulnerable teenagers and we know millennials are constantly connected,” explains Emma. Social media may therefore feed anxiety and increase our feelings of inadequacy. But, it’s not all bad news for social media (and being connected online in general); some professionals including Emma say they could have the opposite effect. Social networking sites and other forms of technology like apps and wearable devices are tools that could be used to promote health and wellbeing. There is only emerging data for this, but it is possible that technology could ultimately be our health saviour down the track. “I’m really optimistic about the future. Social media is not going to go away and I feel we need to embrace it from a professional point of view. We need to help set guidelines for users, schools and parents,” explains Emma. “The more health professionals that get involved, the quicker this will happen,” she adds.